While Nigeria ranked 152 – the position it occupied last year, Gabon was placed at 109. Equatorial Guinea was 135 on the list, and Ghana and Zambia maintained the 139th position. 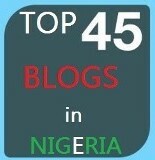 Nigeria emerged the 17th most developed country in Africa, and 13th most developed country in sub-Saharan Africa. In the report, Nigeria was placed under the “low human development” group out of its four levels of human development group. The other groups are very high human development, high human development, medium human development and low medium development. The 2016 human development report focused on “communities that have been left behind, despite development progress over the last 25 years”. Ojijo Odhiambo, the economic adviser, Nigeria and ECOWAS, UNDP, said Nigeria needs to redouble its effort in making sure that it addressed the factors that were impeding its improvement on the index. Some of these include issues of inequality, education, discrimination among women, promotion of social inclusion and accountability, as well as the upholding of human rights.